Whether you're looking for a romantic table or to impress a client, summertime in Los Angeles is all about dining alfresco. Don't settle for a folding table on a busy sidewalk or a communal table at a food stand, here are a few of my recommendations for the finest in outdoor ambience. 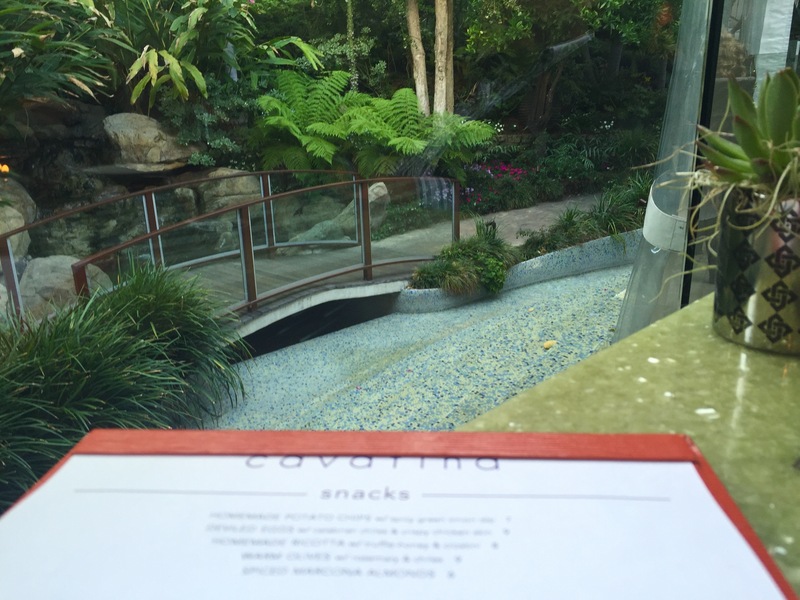 Cavatina, tucked into West Hollywood's Sunset Marquis hotel, is one of the most impressive patios in terms of fine dining in the heart of the city. It's long been an oasis of lush greenery amid the bustle of the Strip. Historically, the location has seen it's more than its share of rock 'n' roll legends passing through L.A. -- or staying for a time. Bruce Springsteen and Elton John are reportedly regulars. The cocktails are among the best you'll find in this part of town, with the Rudolph Valentino representing a zenith. Enjoy a couple as you sit by the trickling stream, rubbing elbows with the stars. And because all-star clientele tend to have exquisite taste, Cavatina doesn't simply capitalize on the atmosphere. Executive Chef Chris Turano recently took the helm, promising to keep the menu's gems, while adding some simple dishes of his own, using market-fresh ingredients. 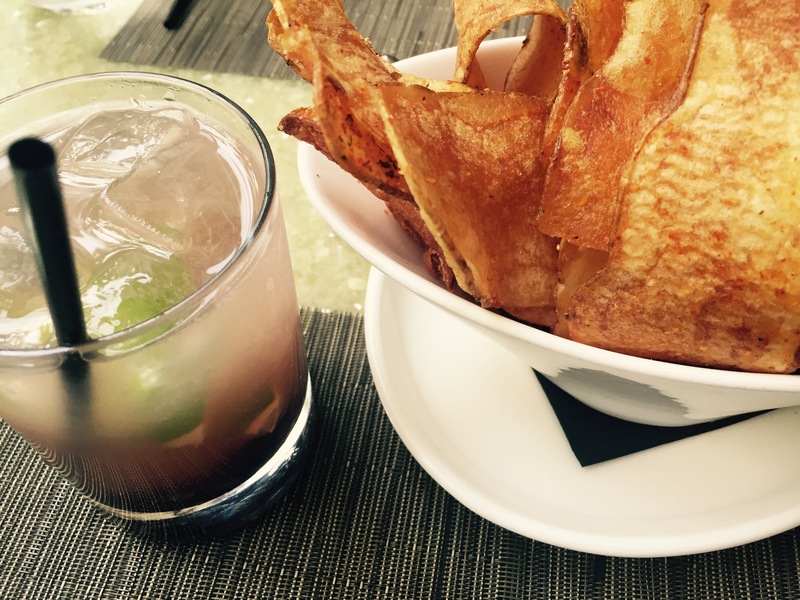 The unforgettable house-made potato chips are still here, along with crostini and house-made ricotta and truffle honey to get things started. And while beet-and-burrata is on just about every menu in town, Turano's creamy burrata with assorted beets, Marcona almonds and baby kale is a shining example of the dish at its best. Get some more veggies in with the crispy Brussels sprouts made with bacon, pine nuts and pickled daikon. As for entrees, the simplicity of the seared scallops with mushrooms, peas and spinach is a hallmark of the execution that Turano provides, while the slow-cooked loin of lamb is a testament to his attention to detail. The trip to Carbon Beach Club, tucked oceanside into Malibu Beach Inn, is worth the drive just for the Instagram photos overlooking the Pacific. That it serves a top-notch brunch makes it a must this summer. The blood orange mimosa is every bit as good as you think it is, and the picture you post will be the envy of all. The brunch pizza topped with quintessential California ingredients -- Niman Ranch nitrate-free bacon, organic egg and kale -- is the ideal shareable. 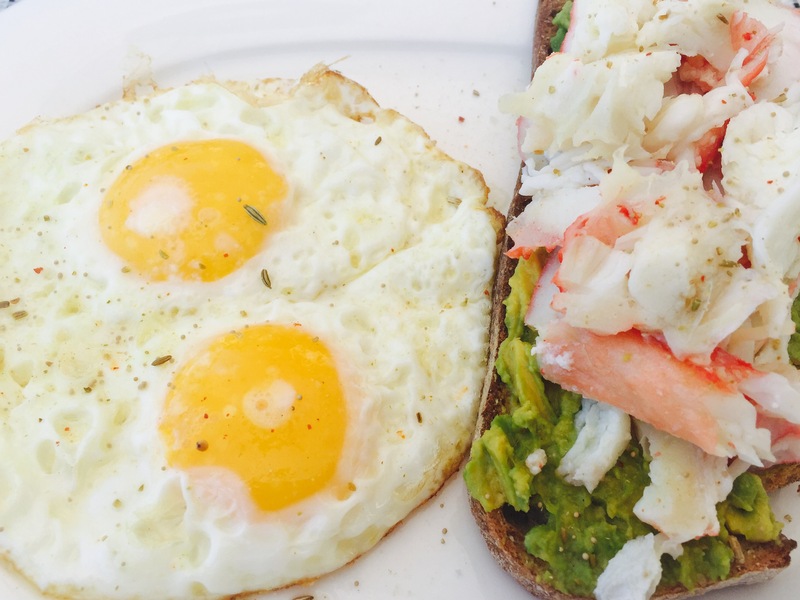 Meanwhile, the avocado toast is too good to share, particularly if you upgrade it with the addition of crab, lobster or Norwegian smoked salmon. Already hit Crossfit? Kick things up a notch with some carbs. My recommendation: Bucatini Pomodoro, a simple but delicious pasta dish with San Marzano tomato, Italian basil and burrata. The bucatini noodles soak up and absorb the sauce, making every bite burst with flavor. And as I've been on an Albarino kick lately, I found a delightful one -- the Fillaboa -- to complement the seafood-rich menu. The somme-built wine list is robust and well-curated so you're sure to find something to suit your taste. And the mixology-driven cocktails are designed to fit with a late-morning/afternoon in the sun. 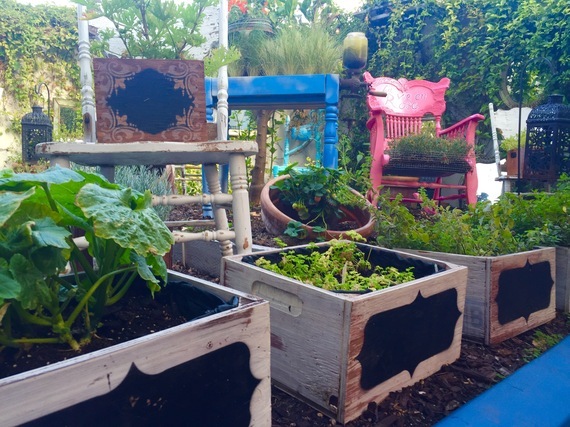 Located across from the bustling Beverly Center is an enclosed "French garden" patio where diners experience a respite from the chaos of the shopping frenzy. Estérel, nestled in the Sofitel hotel on Beverly Boulevard, is truly a getaway. Take a table next to the "living wall" of plants. Executive Chef Victor Boroda is embracing summer cuisine with Steelhead Salmon served with smashed fingerlings, snap peas, crème fraiche and fresh dill, and the spring vegetable flatbread made with favas, English peas, goat cheese and mint pesto. 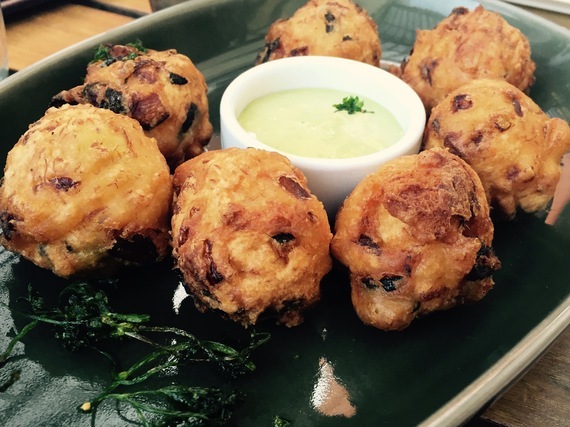 Meanwhile, the zucchini beignet with aioli dipping sauce, is, bite-for-bite, one of the best dishes I've had this season. The restaurant has an array of gluten-free and vegetarian options, including a vegetable tagine composed of a vibrant ensemble of spring delights -- apricot, squash, garbanzo, cauliflower, chermoula and Israeli couscous. For something heartier, the mouthwatering braised lamb shank will set your senses ablaze, accompanied by shishito peppers, salsa verde and Piperade (a Basque favorite featuring green peppers and tomatoes cooked in olive oil). Three patios, three entirely unique experiences.